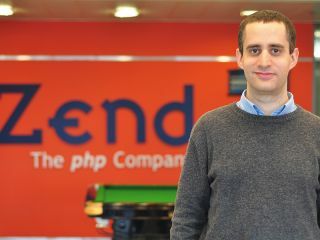 Zend is one of many open source success stories. Following a model that's proved strong with MySQL and Subversion, it provides support and commercial software that sits alongside mainstream PHP use, targeting enterprise customers who need high-reliability, high-scalability web app servers. The company has announced software called Zend Server, an all-in-one bundle for running PHP applications on between one and three servers. It includes a highspeed code cache, which makes nearly every PHP run faster – sometimes by a factor of 10. It also monitors all the PHP scripts running across your servers, providing feedback on where things are running slowly and where errors occur. Now, for the first time, Zend is making a cut-down version of its enterprise software available for free – although that's freeware rather than free software. In Zend Server Community Edition (CE) you get the same high-performance code execution and administration front-end, but you don't get the support or the hot fixes when PHP updates are issued. In short, you're on your own, but at least you get the power features, which can easily save expensive hardware upgrades. Linux Format: How does Zend Server fit into your product range alongside the existing Zend Platform software, which is also for enterprise server use? Zeev Suraski: Initially, we're going to have both products side-by-side, with Zend Server geared towards single-server solutions or up to two or three servers, and Zend Platform geared towards larger clusters. We decided to roll out the Zend Server strategy gradually, so in the future we do plan to have the clustering support added to Server and [… to add] things that exist in Zend Platform – as well as new features. LXF: So your plan, then, is not to take features from Server and put them into Platform, but to take features from Platform and put them into Server? ZS: Yes, but beyond the features we're taking from Platform we're also working on the UI and usability, so it's not that you're going to see exactly the same features […] dropped into a clustered version of Zend Server in the future. You're going to see revised versions of them; in some cases higher performance and in some cases just brand-new features. LXF: One of the key features of Zend Server is that it's an all-in-one solution, with software coming configured to work in an optimised way. But it also comes with MySQL and Apache. Do people really need that? ZS: That depends on what operating system you're installing it on. If you install it on a Linux machine that has Apache installed, which I think probably close to 100 per cent of [people] do, then it's going to use the operating system's native Apache without installing a new one. If you don't, then you have the option of installing Apache through Zend Server and it's going to work out of the box. LXF: Can you use the distro's built-in PHP? ZS: No. You have to use the Zend Server PHP. If a user asks us this question, then the answer is going to be "no". From a technical perspective, you should be able to – if you really wanted to hack around and get the various components that we ship together with Zend Server to work with a different PHP – as long as it's from the same family (in this case PHP 5.2) but it's not something that you're supposed to do and it's not something that we're going to support. LXF: Zend Server's monitoring agent automatically tracks when things go wrong with a script, database connection or another PHP-related problem – it saves the app state so it can be retrieved and stepped through later. Is there much overhead for that?